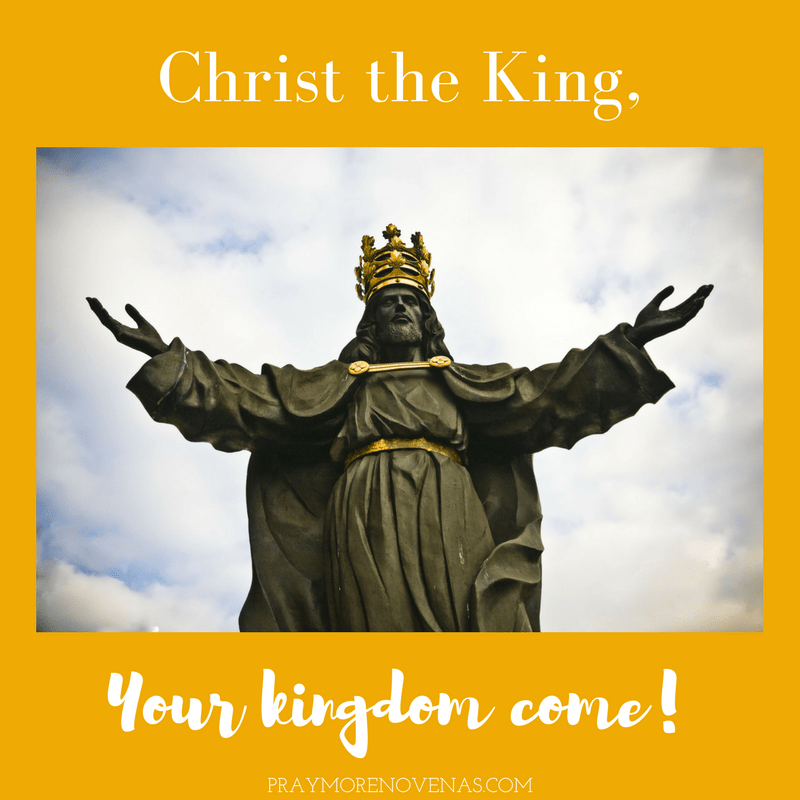 Here’s Day 8 of the Christ the King Novena! Christ our Lord and Savior ,.. Hear our concerns and prayers. We need your help more and more each and every day with our daily struggles . Bring us to the fullness of your Glory. We pray especially for the ..
our Priests – Strength -daily struggles . We ask this in your name,..
For conversion of my children; That my daughter and I will have a blessed visit and get along very well; That my son will have holy discernment re: his decisions about residency; For blessings on my new job and that I will receive just the right amount of hours to support myself well; For growth in my faith and spiritual life; For healing from mental illness and loneliness. Bless David with the strength to endure his cancer and give him hope of a cancer. Bless Geraldine, James and Sarah. In the name of the father. Amen.